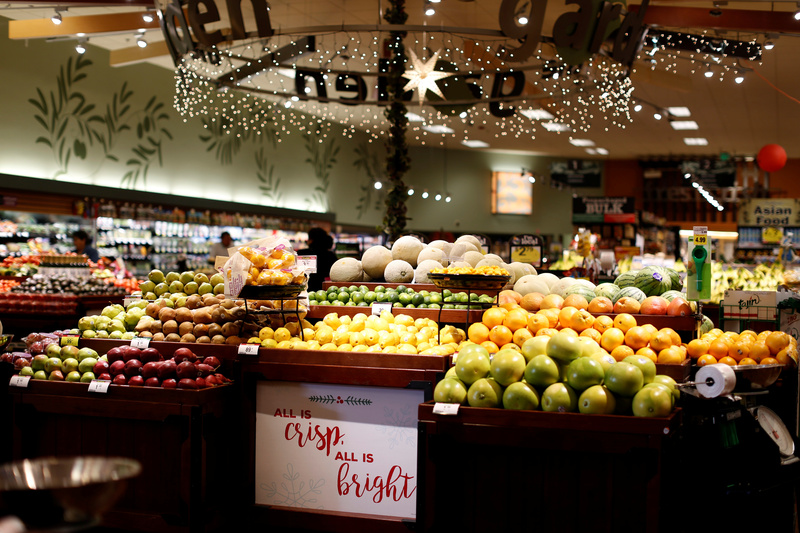 The produce section at a Ralphs grocery store, which is owned by Kroger Co, is pictured ahead of company results in Pasadena, California U.S., December 1, 2016. Kroger on March 7 reported earnings of $259 million or 32 cents per diluted share in the fourth quarter of 2018, down from $854 million in the same period a year earlier. Excluding one-time items, earnings were 48 cents a share, below the mean analyst estimate of 52 cents, according to I/B/E/S data from Refinitiv. Revenue declined 9.5 percent to $28.1 billion in the quarter, undershooting the mean analyst estimate of $28.4 billion. The company said it planned capital investment excluding M&A of between $3 billion and $3.2 billion in 2019, compared with $3 billion last year. It said it expects earnings of $2.15 to $2.25 a share in 2019, just shy of analysts’ mean estimate. Kroger shares were trading down around 12 percent at 10:35 a.m. EST.